Whoever comes to Lake Orta is drawn irresistibly to its most beautiful village: the ancient burgh of Orta San Giulio, which faces the spectacular Island of San Giulio, a short distance away. The distinctive appearance of the burgh derives from the Renaissance and Baroque art which is a feature of its fine townhouses and beautiful gardens. Attractions include the magnificent mansions of Villa Perone and Villa Crespi, as well as the Palazzo della Comunità, which once hosted the “Consiglio della Riviera”. We can arrange your Gala Dinner at Villa Crespi and Villas on Lake Orta. 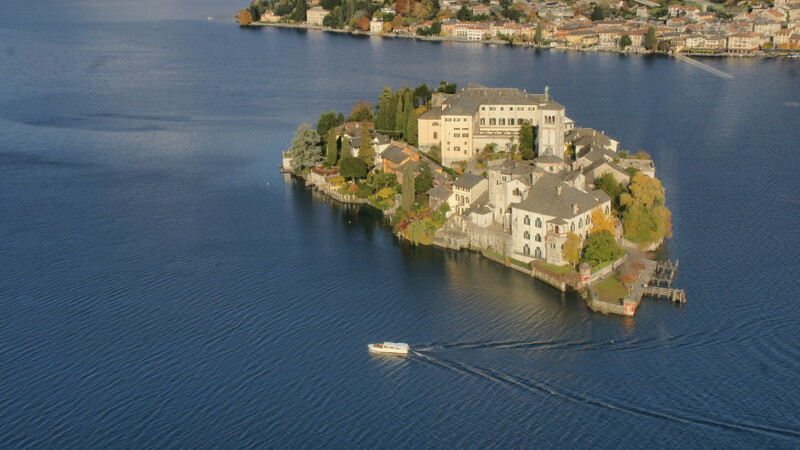 The little Island of San Giulio is dominated by its Romanesque basilica, the bishop’s palace and the Benedictine abbey. You can reach it by a short crossing by boat or motor launch. Legend has it that the island, which lies not more than 400 metres from the lakefront of Orta, was once a bare rock inhabited by snakes and terrible monsters, until the day in 390 when San Giulio landed, crossing the lake on his cloak and guided in the storm by his staff. Here the Saint founded a church, which he later chose to be buried in, and transformed the island into a centre of evangelization of the whole area. After landing, you go up a short flight of steps leading to the atmospheric Romanesque Basilica, the island’s main attraction. From the church you can walk along the narrow street that goes round the whole of the island: the “way of silence and meditation”, in an evocative blend of spirituality and architecture. Exploring the lanes you will come across the 19th century Bishop’s Palace, and the Mater Ecclesiae Benedictine Abbey, a convent of cloistered nuns who live permanently on the island, devoting their days to prayer, study, restoring valuable old church vestments, making communion wafers and the famous “pane di San Giulio” (St Julius’ bread). The other buildings on the island, now private residences, were once priests’ lodgings; one of the oldest is Villa Tallone, where concerts of classical music are held every year. A pleasant restaurant with a terrace on the lake and a souvenir shop complete the facilities available to the visitor. On the island we arrangre treasure hunt activities during incentive events. 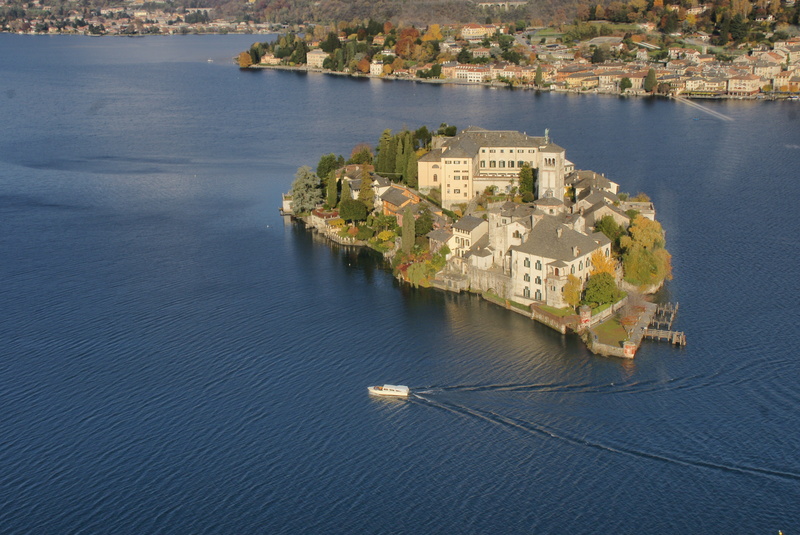 On Lake Orta, we organize tours, team building activities as well as gala dinners.